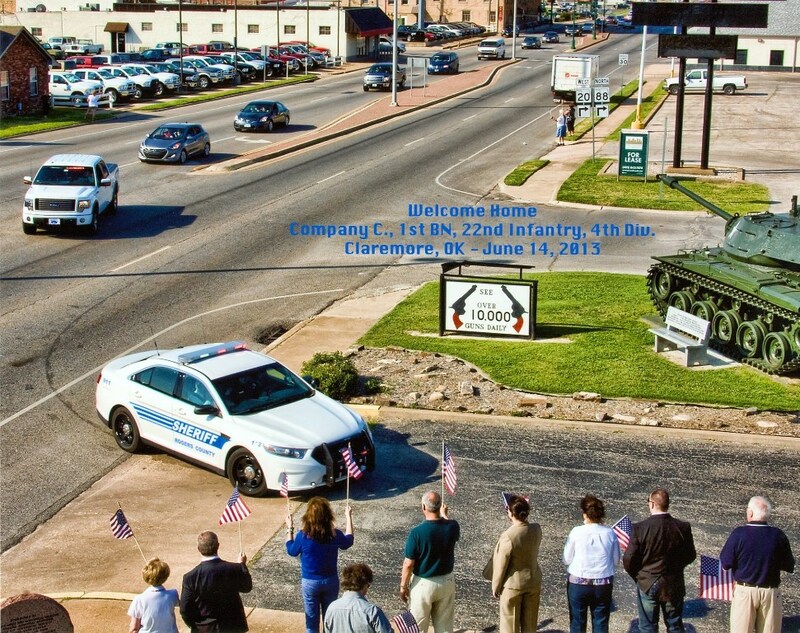 On Friday June 14, 2013 during our Reunion 2013 in Tulsa, Oklahoma we visited Claremore, Oklahoma for the day. We were surprised to a special treat when the Rogers County Sheriffs Department and the Claremore Police Department escorted us on Route 66 to Claremore. We finally had our homecoming parade and no veterans had a dry eye.